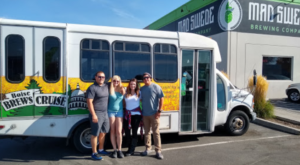 There’s only one Venice, but you might be surprised to find that you can get the same scenic, floating historic feel – complete with water ‘streets’ – in our very own Idaho. 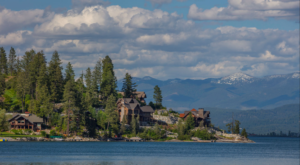 In fact, in this creative and rustic waterfront community there are dozens of picturesque floating homes, from which every resident can enjoy the beautiful views of this forgotten corner of the lake while still being a part of a cozy, water-based community. And it’s absolutely gorgeous! 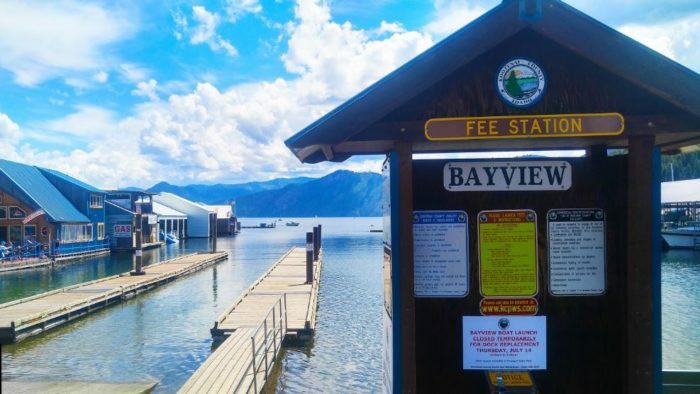 The itty-bitty unincorporated community of Bayview, Idaho is a blissful, waterfront treasure on Lake Pend Oreille that is often overlooked by lake visitors. 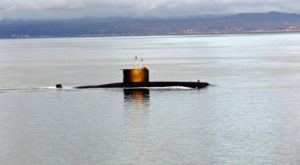 Those that know of the town know it from the historic Farragut State Park, memories of the former Farragut Naval Training Station, or - if you've read this previous post - the unique submarine research that takes places here at the U.S. Navy's Underwater Acoustic Research Detachment. 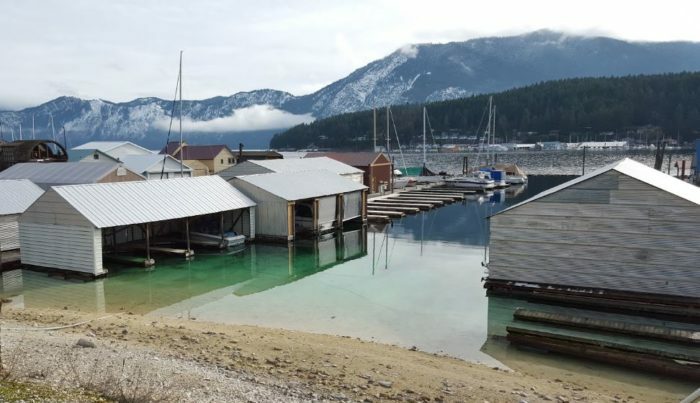 But being unincorporated hasn't stopped this town from thriving in its hidden corner of the lake, or from creating its own miniature community: a literal floating neighborhood, which few people know even exists. 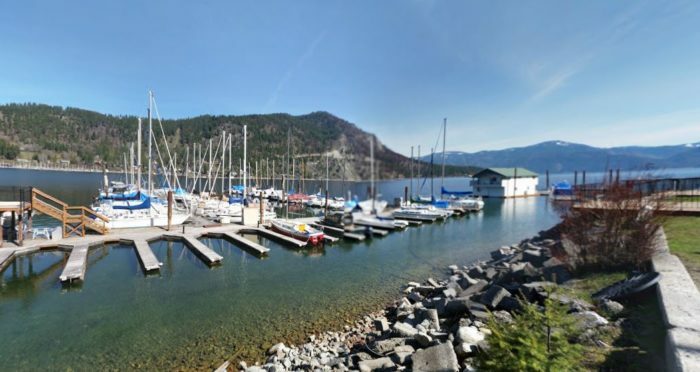 Located on the Southwest end of Lake Pend Oreille, Bayview is a small, quiet town along and on the water. 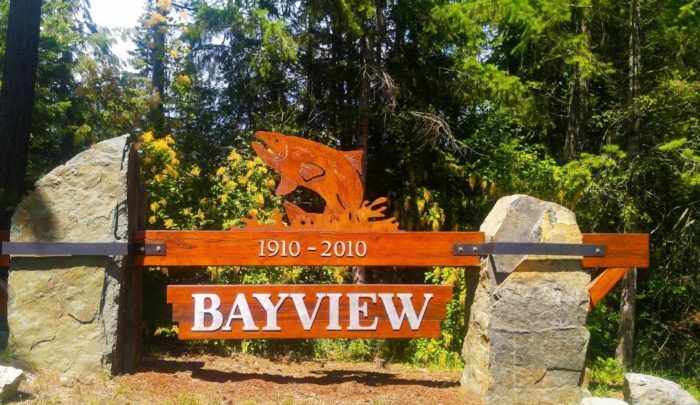 The town is home to its famous "Bayview Daze" every July, consisting of a street parade, a lighted boat parade, pancake breakfast, street fair, and 4th of July fireworks. 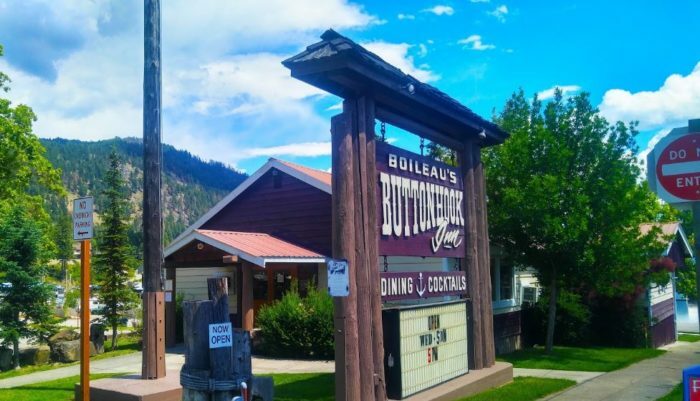 People from all over Northern Idaho and Eastern Washington come to join in on the festivities, as well as enjoy the bounty of outdoor recreation. Not to mention the picture-perfect sights! 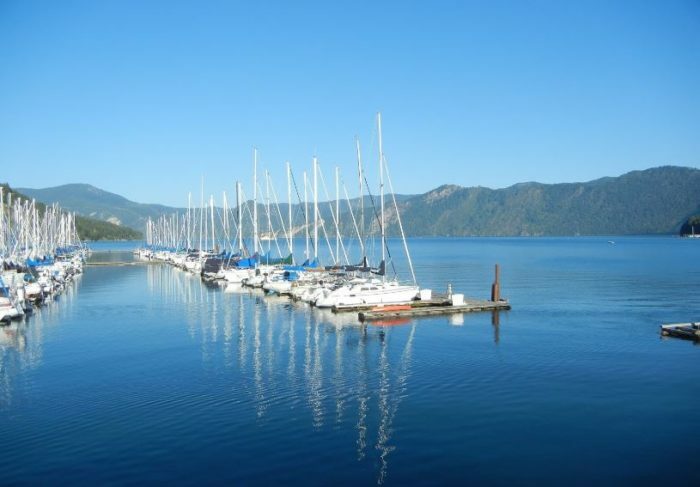 Lake Pend Oreille is famous for its crystal clear waters and plunging depths, after all. 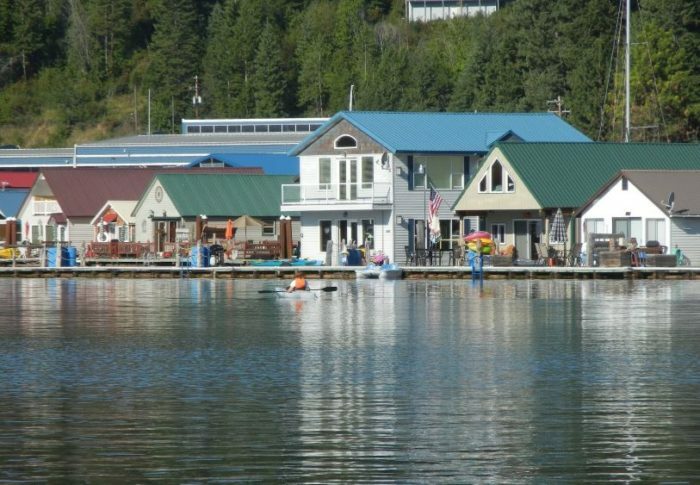 Uniquely, the "Floating Village" at Bayview, Idaho has been its own community for over 100 years. 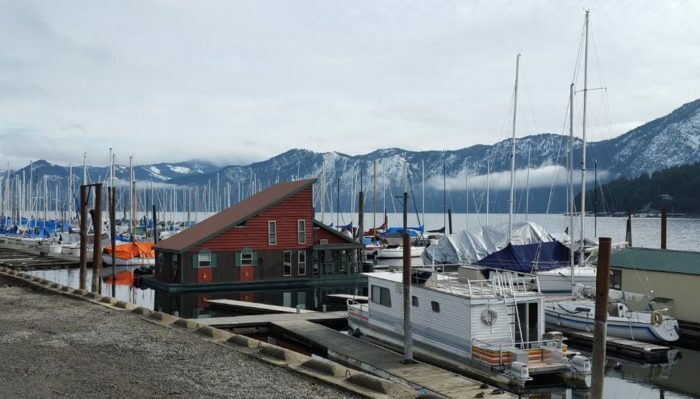 There are over 200 of the historical floating homes, with half of them being in one central location in Scenic Bay on Lake Pend Oreille. Historically, the stunning floating neighborhood started building along the shoreline in the early 1900s. 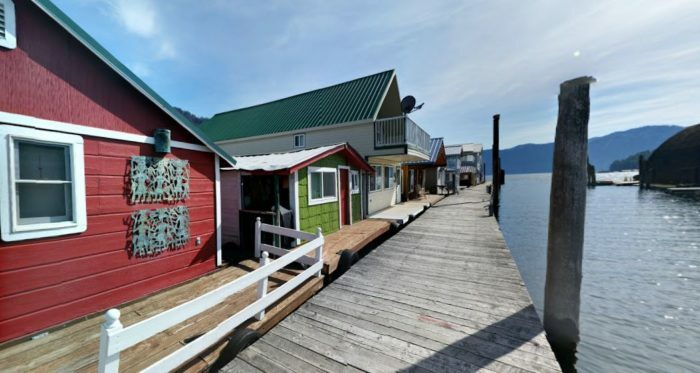 The original floating homes were simple fishing shacks used to shelter Kokanee salmon fishermen. The homes were connected to the shore by crude walkways, and ruggedly built on cedar deck rafts that could be moved along the lake. 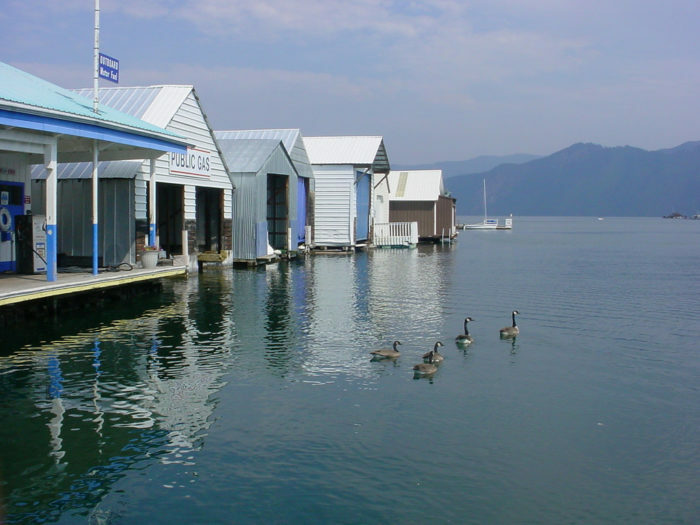 As fishing, boating, and vacationing on the lake became more popular, more float homes appeared in all of the marinas. The homes were decked out, spruced up, and built up through all 5 of the Bayview marinas, no longer as mobile as in the past. 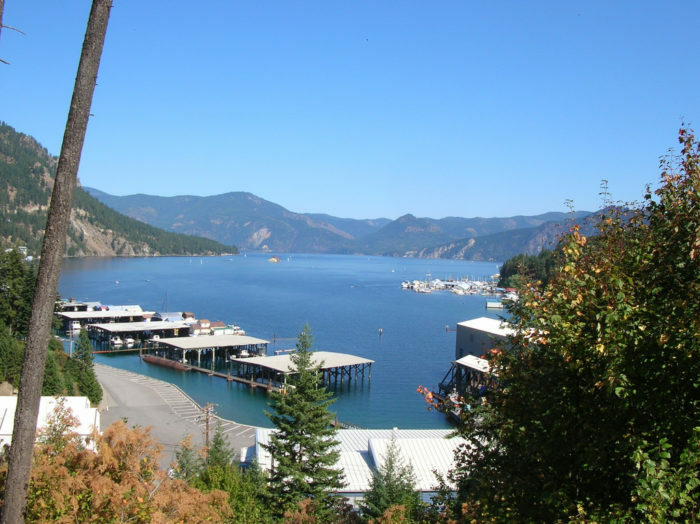 Thus, permanent docks stretched into the bay from the shoreline and the homes connected to the city's main systems. Miles of floating boardwalk and water channels connect the neighborhood. And a community is exactly the right term for it! This year, and in years prior, heavy snowfall has threatened the stability of some of the floating homes, and residents have banded together to battle flooding, toppling boats, and more. 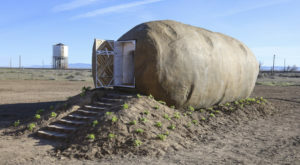 However, if you're thinking this might just be the location of your future dream home, you'll have to be patient. New homes are no longer allowed to be built in the marina - only expanded upwards, and improved upon, so long as the original bluebrints remain the same. 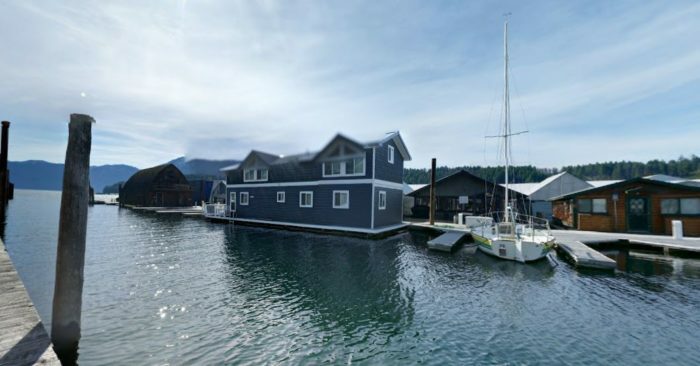 But in addition to the floating community, Bayview itself is positively charming. 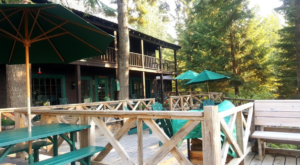 Multiple mom and pop restaurants, beautiful mountain panoramas, and endless lush, green landscapes are just the start. 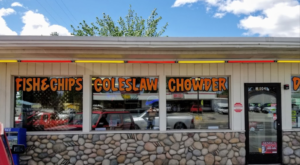 Want to grab some takeout without leaving the water? Take the drive-through at the Floating Patio. 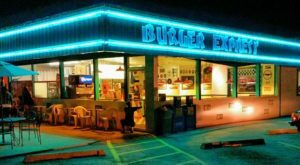 Looking for a historical gem? Check out the Bayview Lime Kilns. 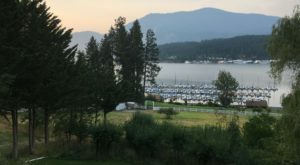 But whether a home comes up for sale, or whether just renting a houseboat for a day, waking up in the morning to the sound of water lapping at your door and the ospreys calling is something truly spectacular! 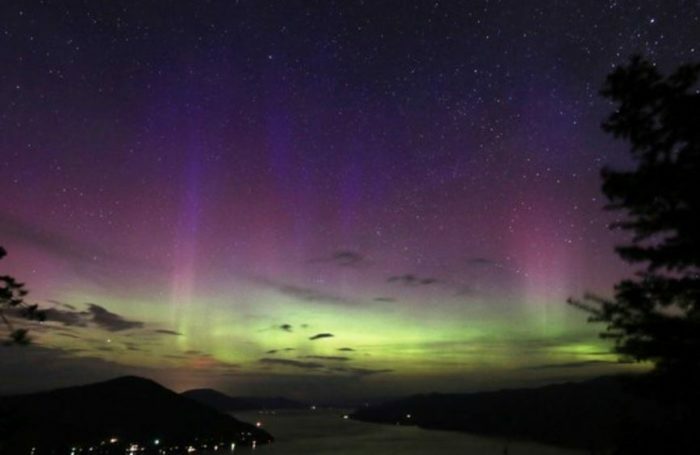 And you'll never forget the magic of witnessing the Northern Lights here. Are you ready to visit, or would you rather just pack up and move in? What a unique little community!